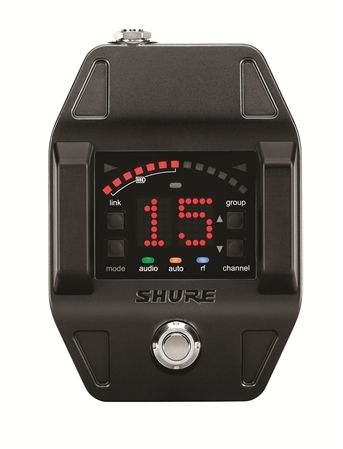 Shop Shure GLX-D16 Digital Pedal Style Guitar Wireless System from AMS with 0% Interest Payment Plans and Free Shipping. Add the Shure GLX-D16 Digital Pedal Style Guitar Wireless System to your setup and discover the uncompromising tone of digital wireless! 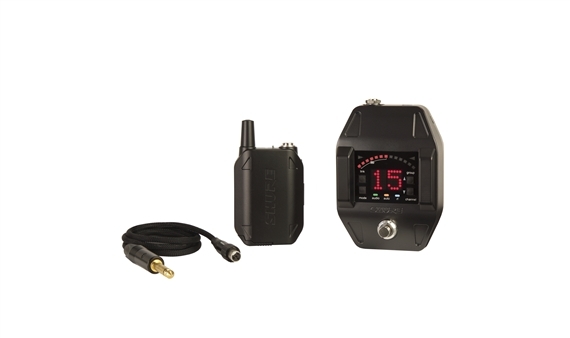 This system is for those guitarists who are worried about losing tone by switching to wireless. 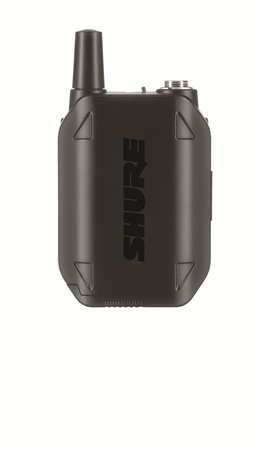 Combining revolutionary LINKFREQ Automatic Frequency Management and battery rechargeability with unparalleled Shure design and construction, this system is as reliable as they get. The included GLXD6 guitar pedal receiver easily integrates into any pedal board and features integrated strobe and meter guitar tuners! Great product. No discernible loss of signal compared to a cable. Pedal fits on my pedalboard. The tuner does everything my old tuner pedal does. So happy I pulled the trigger on this wireless system...worth it!! I was hesitant at buying another wireless system as I hadn't had great luck in the past. I did a ton of research and found this to be the best fit for a gigging musician. My most important needs were: No loss or delay of my signal and no coloration of my tone. I play country mostly so this was a huge need. Tested to 140' on stage multiple times - no loss in signal and my tone was just like I was wired. The pedal receiver will mount on your board and the foot switch brings you into a chromatic tuner which I now use instead of my Polytune or the tuner on my Helix. Both the receiver and transmitter are rugged! Made of metal and made well. You can tell they will last. Threadlock on the transmitter wire and it has a rechargeable battery! I've played 2 full gigs from one day to the next without having to recharge. 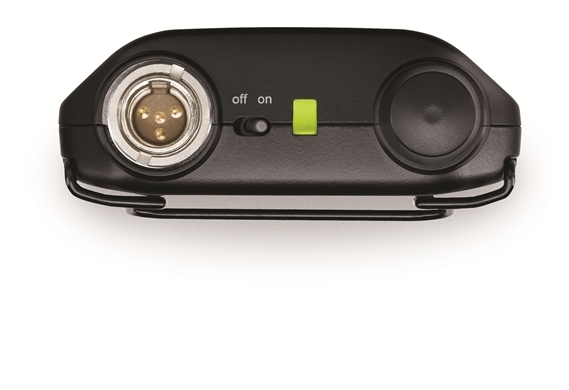 With the auto frequency management system, it is the easiest wireless I've ever used or setup. It's everything that I've been needing. You won't be disappointed. Have only owned for a week but have user it at multiple gigs and venues and it had been flawless the battery if fully charged does last a full 16 hours, well worth the price. Is well worth the Money! I like to move around on stage when playing my guitar, and the Shure GLX Digital wireless system is perfect for allowing the freedom of movement and keeping my rich tones without any dropout in the signal. I appreciate the pedal functions of the device as well for the accurate tuner, which is easy to read with the large lighted LED display even in low light, fits well in the front on my pedalboard. 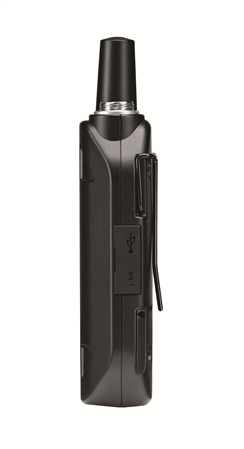 It is also constructed of solid metal and extremely durable, both the receiver & transmitter. 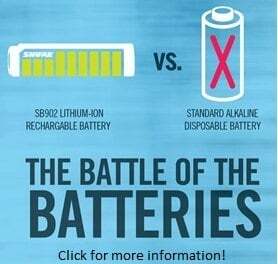 This is used by the Pro Career players, and is why I decided to purchase one, and it has turned out to be a best music investment for years of usage with the rechargeable lithium battery, I also purchased an extra rechargeable battery to go with it as a backup. I prefer to buy the best equipment to add to my rig, and I buy all my gear through AMS and consult often with Technical Pro's in Customer Service. 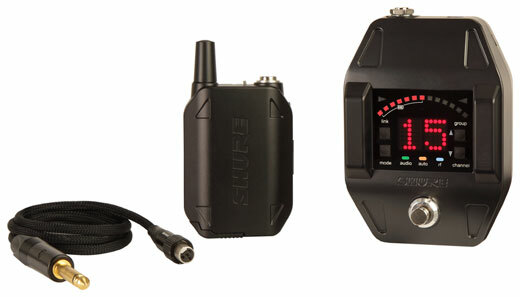 I trust Shure products, because they have been in the game a long time. Very solid construction. Sounds great with no tone coloration. Performs as advertised. I would recommend this product. Very user friendly & well built. But was dropping signal when just a few feet away. Great signal and easy to set up! The fact that this came with a floor pedal that’s a tuner was sold for me! Easy to figure out if you’ve never had a wireless. The casing they use is very durable and well worth it.